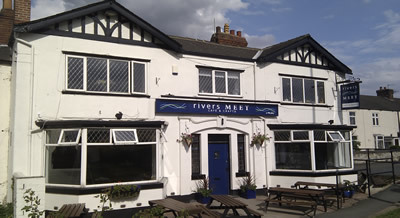 Yesterday the Vintage Valentine’s Fair finally came around – the first fair I’d organised at Rivers Meet (www.riversmeetcraftcafe.co.uk). I’d been looking forward to it since Christmas, although with a mixture of excitement and nervousness. I know as a stallholder that the organiser has to do a good job – or else….. so I had a good go and learnt a few lessons, but basically I think it went well. We certainly had lots of visitors. At one point you couldn’t get in the door. 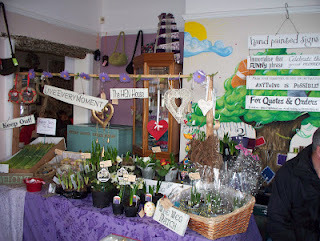 The stallholders really brought some fabulous stuff. Lorelie’s recycled jewellery fascinated me. It was made from old envelopes and takeway menus but it looked just like porcelain beads, and Twisted Vintage (www.twisted-vintage-design.co.uk) brought some lovely things as usual. 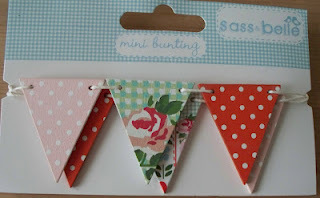 My friend Sally from Lavender Attic bought some of this pretty bunting from them. Lisa and Jane will be opening their new shop very soon in Whitwood, Castleford and I wish them all the luck. 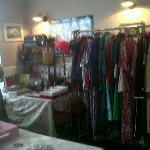 We had great vintage clothing from Beau Boutique and Luna & Annies. Really nice things – I just need to lose a few pounds! Thanks for coming ladies and we’ll hope to see you again soon. I did a roaring trade in daffodils. I think everyone is looking forward to the spring and a bunch of daffs is a good way to cheer yourself up without breaking the bank. 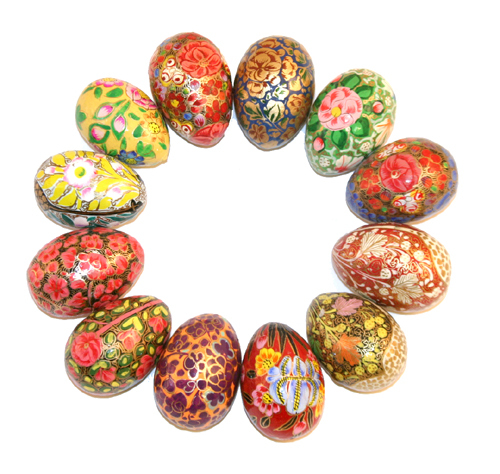 And I had a brought a few fair trade products for Easter – the handpainted little eggs which were made in India went well and not surprisingly. There’s so much detail in them and they really are good value as well as being beautiful little objects. I’m sure our craft fair on Sunday 25th March will have much more of an Easter feel about it. With just two weeks to Easter it’ll be a perfect time to pick up gifts. For more about yesterday take a look at www.lavenderattic.blogspot.com …. and for more about coming events please take a look at my events page or please contact me if you need any more details.